Paul Ingraham • Feb 9, 2015 ARCHIVEDMicroblog posts are archived and rarely updated. In contrast, most long-form articles on PainScience.com are updated regularly over the years. How did I not know about this? After a good solid decade of reading regularly and widely about knee pain, I am flabbergasted that I had never heard of the fabella. 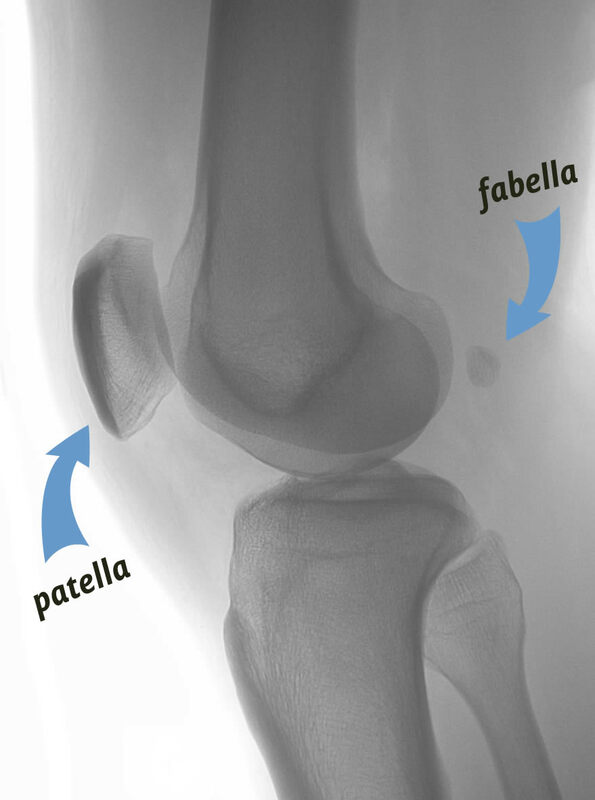 Some folks have an extra knee bone, a sort of second kneecap in back — the f-for fabella instead of the p-for-patella — embedded in the tendon of the gastrocnemius muscle. How many people have this osseous oddity? Apparently it’s not clear. Driessen et al: “The presence of the fabella in humans varies widely and is reported in the literature to range from 20% to 87%.” That’s quite a range! It may form for the same reason the patella is there (leverage, high stresses), and it can get to hurting just like the patella (fabella syndome). Filed under “well I be danged”! And I’ve added it to the patellofemoral syndrome tutorial, of course — mainly for the novelty of it, since fabella syndrome isn’t likely to be confused with kneecap pain.